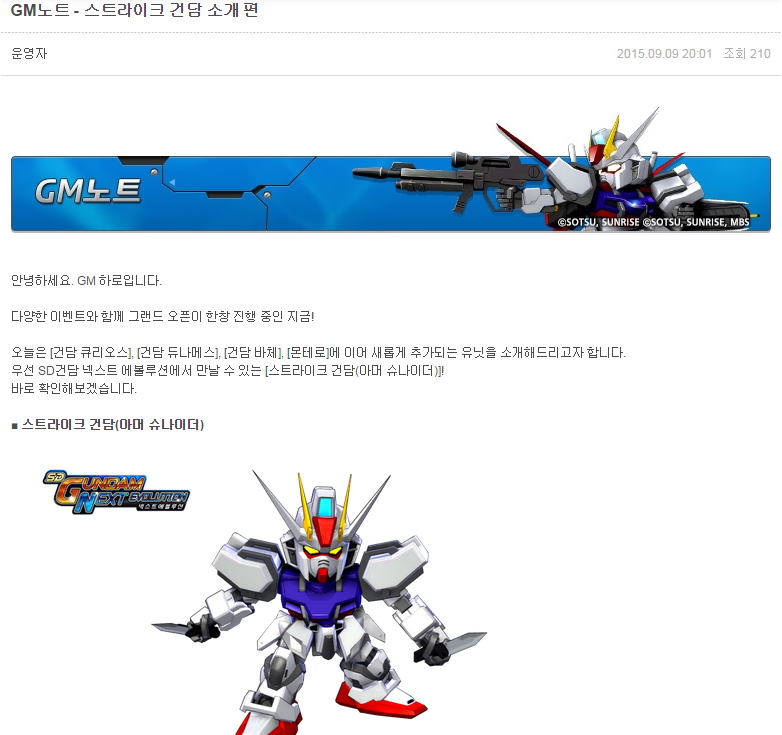 This blog post will only be an excerpt of actualy GM Note in the official website. SEED 각성 If HP is less than 30%, melee, range damage are increased by 25% and agility is increased by 20%. 이겔슈테른 Inflict physical damage of shooting attack for 145% per hit. Chain Skill: Receive a 10% cooldown effect. You can take advantage of the range before enemy reaching you by firing some bullets with this skill. 돌진 Deal physical damage to hit the target by 1100% with a short dash forward. Chain Skill: Add a ‘SLOW’ effect to the attack. 아머 슈나이더 난무 Battered armor and attack, dealing physical damage 155% per hit, launch the target to the air. Chain Skill: Increase the attack power by 10%. 아머 슈나이더 찌르기 Bypass the armor and push into the target, dealing 170% physical damage of melee attack. If you succeeding the first attack, it will follow up with 110% physical damage per hits multi-slashes. 가드 The damage received reduced by 50%. When the shield durability is zero, you can no longer guard anything. If you activate the guard right at the moment you receive the attack, you will be able to do a counter attack. Zorua’s note: This is the skill that I figured out the least compare to the rest of the skills in the game. I have no idea how this skill work. However, here are some observations and assumptions of how this [Guard] work. Observation: It often reduce the damage for more than 50%. Observation: It can only block for certain amounts of damage. Observation: My friends and I are failing to activate counter attack of any sort. We still have no idea of how the counter attack work. 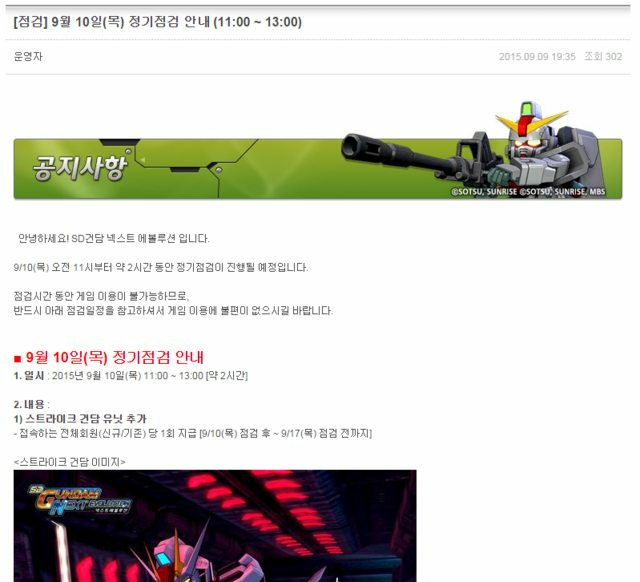 Assumption: There is an ‘auto-guard durability’ stat (오토가드 내구도) which might refer to the amount of damage you can block by your guard. Observation: When the shield durability is zero, your shield(depend on each units) will show sparkling effects. 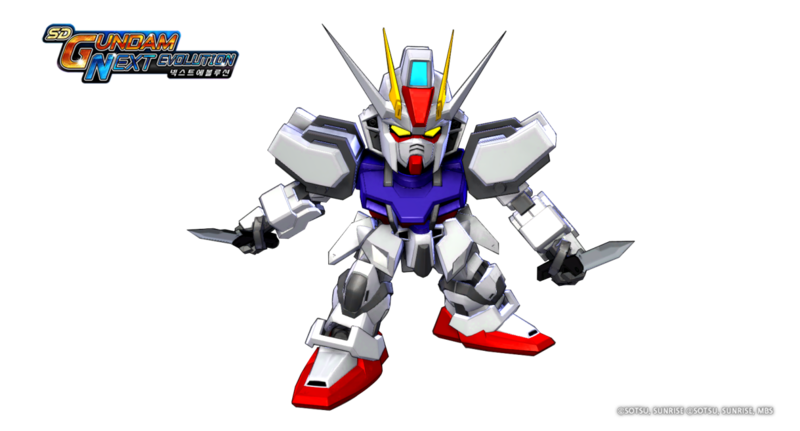 Observation: Even for the units like Ground Type Gundam who do not have ‘Guard’ skill, the shield will still show sparkling effect after receive some amount of damage. Assumption: There is a chance to activate auto-guard and ‘absorb your damage’ by your shield. Assumption: Depend on where your shield is on your unit, the area that have higher chance of activating the auto-guard vary. Assumption: If you use the guard skill at the right timing, you still have to click some button to make the ‘counter attack’ work. 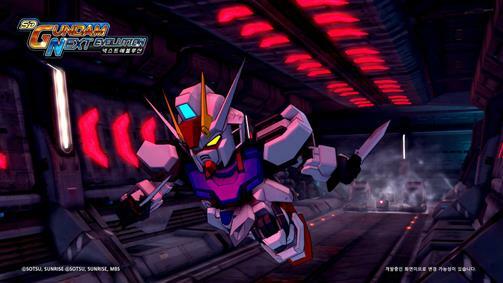 Each account can only receive one Strike Gundam within this period. Both existing and new members are eligible to this event. 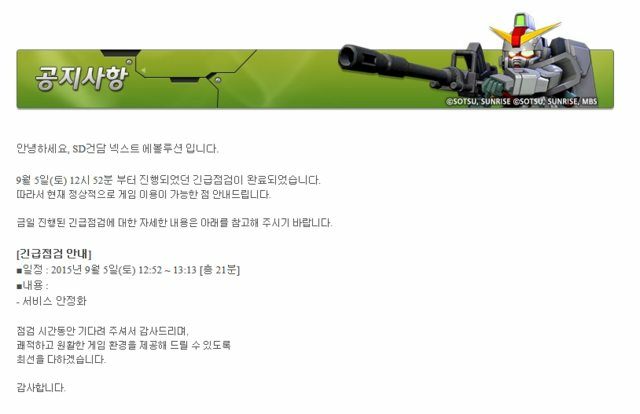 You will be receiving the unit via in-game mailbox (우편함> 보관함에서). The above image was taken on a development server, there may be a real image with a difference. Modifying the beam of Gundam Unicorn used by NPC. Gundam Exia’s recipe ingredient change. Modify the game screen burring effect under certain conditions during gameplay. Fix phenomenon where some daily quests is bugged and cannot acquire repeatly. Fix a bug in Mission 2-9. Zorua’s Whining: Just tell us already, what hidden gameplay changes are you going to change… Stop your sneaky gameplay nerfs. If you worry about the game keep on ‘patching’ and taking up more and more spaces of your hard disk, now I will solve your problem. The actual game size currently somewhere around 3.3±GB. If your BANDAI NAMCO SDGN folder is much larger than this size, your folder is now flooded with log files. Log file maybe useful to you somewhere in future, but most likely not. It record down almost every action you did in game. Anyway, deleting the log file will not affecting your gameplay in anyway. Of course, if you save your SDGN in other location, the file will too locate at their respective folder. This is the first thing that you have to get use to if you want to beat a simple boss properly. Since this game is not made for 1v1 on enemies, there is no way you can win a damage trade fight to a boss that suit your level. Dodge when you see their attack’s startup action. Always aware about them. This is the basic of every boss fight in the game. If you aren’t use to it, the boss in EX1-1 is a perfect practice target for you. It only do 1 attack, with super long startup action. After you dodged it, just punish him when he is in is attack’s recovery motion/period. This Zaku have a pretty long one compare to most of the boss, too. If you constantly stand in front of the boss, you are doing it wrong. Most bosses throw their attack to where they face. So, turning direction of the boss can be one of the most obvious visual clue to tell you that the boss going to perform an attack toward that direction. Just stay away from where the boss face will actually safe you from a lots of enemy’s attack. There are some boss’ attack does not have any startup action. This is getting more true when you’re facing an enemy that shoot Bazooka at you without any warning. Most of the enemy in EP1 had receive accuracy nerf in grand opening compare to PRE RUN, so I wonder if it still a big threat. However, range attack in close range often an 100% accuracy attack from boss. Knowing how the boss attack will let you understand that when you can throw all your attack to the boss even when boss is attacking the other direction, and when not to do the attack. It also help you to learn about boss’s startup action better when you dodging. If you are going to play SDGN, you have to accept that enemy’s attacks’ hitbox often larger than the graphic visual cue. For example, a Zaku that throwing the bomb toward the front will hit the back if you stand too close, even if it doesn’t make sense. 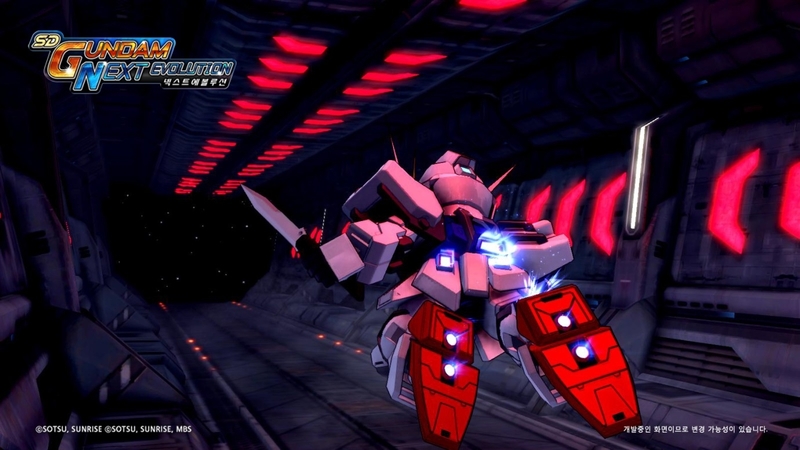 Kyrios that shoot horizontally on the ground will hit you even if you jump like 5 unit height higher than the beam attack.Surprise you one time is game’s fault, but later will be your fault. Try to take note each of them. Hey, Zorua, where is the air combo and super armor related tips? Zorua: You do not need to know those things to be able to defeat a casual boss. As long as you have a solid basic about the above 4 tips, you will easily be able to defeat casual bosses with ease. Within next few blog post, I will write an unproven and incomplete guide about how to choose your stats of your cores/parts/gears in SDGN. So stay tune to this boss. Also, do ask any question you would like to know about SDGN in comment, I will try my best to answer. There is quite a number of hidden changes happen in the patch 2 days ago. Air combo nerf is one of them, of course. GM Ground Type’s 3rd and 4th skills are also nerfed. The buff duration acquire from these skills reduce from 30 seconds to 18 second. Also for air combo, I have to correct what I said 2 blog posts ago. You can launch the enemy higher than 2 unit height and continue your air combo. However, if you use the EXTRA attack (‘Q’ button) when the enemy is higher than 2 units height from the ground, the enemy will be forced back to that height. When that happen, the enemy instantly drop to 2 unit height while your unit still at higher height, which cause failure to connect the air combo. So if you plan to advance your air combo above 2 unit height, you will have to get use to not using the EXTRA attack to continue the combo. If not, you will have to keep the height at somewhere around 2 unit height, so it become more stable. There might be other changes, but is yet to be discover. Before the last patch, you can air combo the enemy as high as possible, where sometimes u fail your input, you got chance to reconnect your air combo. After the patch, the air combo height is not limit to somewhere around 2 unit. It will auto adjust the height and not let you launch the enemy beyond the height. So once you fail, its most likely to fall on ground and regain its super armor if you do it alone.